For more information about this release, see this article. Also, the full changelog is here. 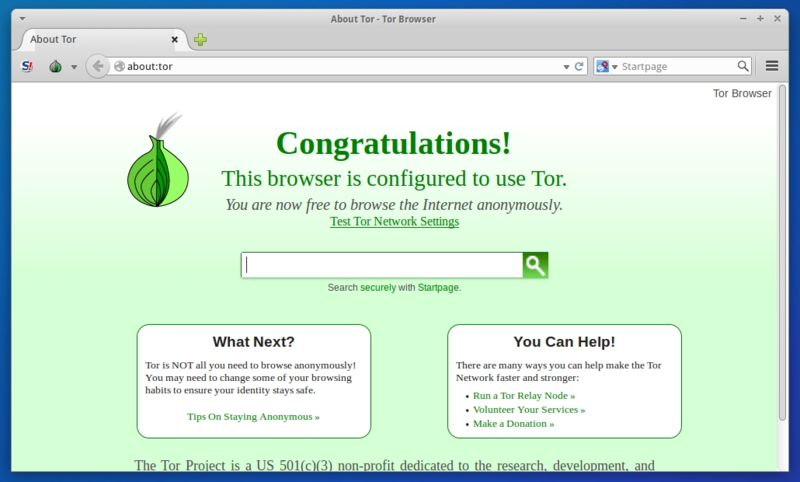 In this article I will show you how to install Tor Browser 4.0.8 on Ubuntu, Linux Mint, Elementary OS, Pinguy OS, LXLE, Deepin, Linux Lite, Peppermint, Debian, Kwheezy, SparkyLinux, Fedora, CentOS, OpenSUSE, Mageia, OpenMandriva, Arch Linux and Manjaro. Because Tor Browser Bundle 4.0.8 is not available via any repository yet, we have to download Tor from the project’s site, extract the archive, move to /opt and alias the launcher.